The older low floor Darts that were withdrawn last year are slowly disappearing from Milehouse. Most of them are being reduced for parts and then the remains going for scrap but one at least has escaped. 14 R114OFJ is now with Berrys of Taunton for use on school runs. 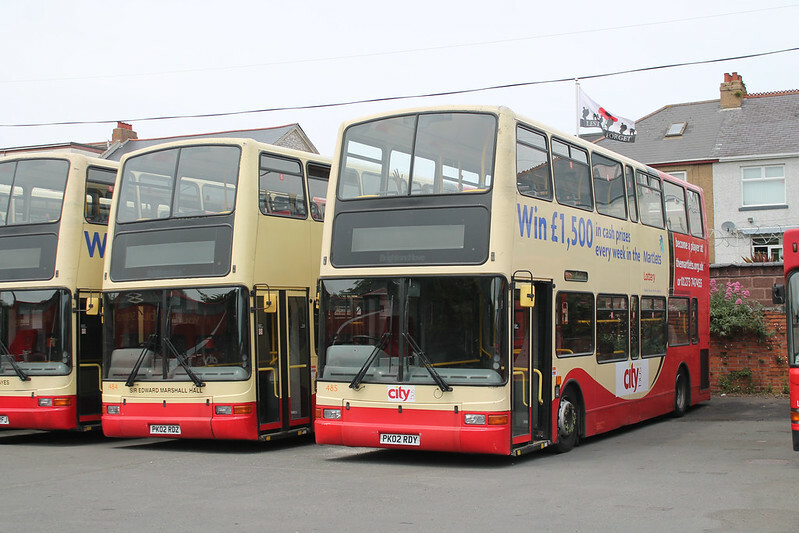 Both 483 and 485 have received Plymouth Citybus names on their Brighton livery which suggests they may be about to enter service prior to repaint. Why would they want to dilute the yellow flash brand coming in with the new buses later this year? Why would it be "nice" to see them painted yellow etc. The students aren't daft they know what bus to catch without it being a special colour. This is not the states with dedicated yellow School Buses. 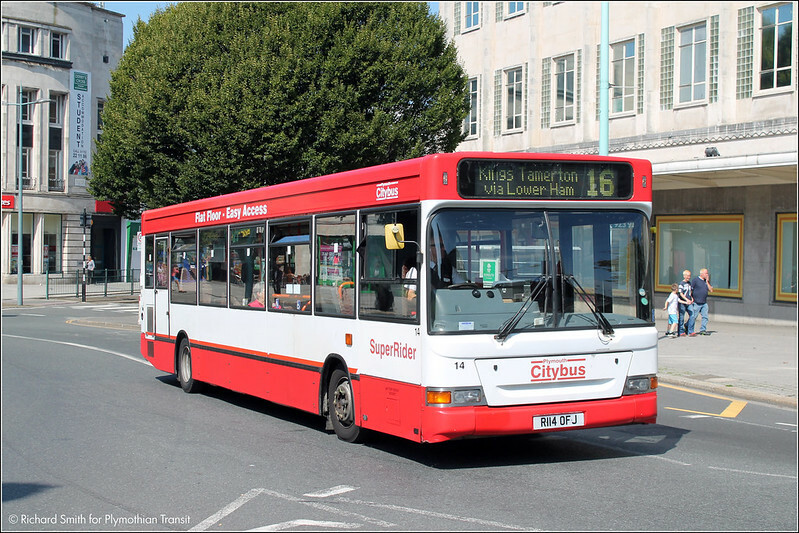 IIRC Citybus were pulling out of dedicated Plymouth school buses at the end of this term. I'm sure they gave notice over 12 months ago but my memory may be wrong here. You're right; the contract buses 121 Liskeard, 122 Kelly Bray/Launceston, 124 Milton Combe and 126 Kingsbridge, this year is the final year of operation, terminating at July. I think some clarification is needed....the school services currently operated use normal service buses, not dedicated special liveried school buses. The London liveried double deckers which used to be dedicated school buses were sold, except for three which are now the dedicated driver training fleet i.e:- 441, 443 and 444. 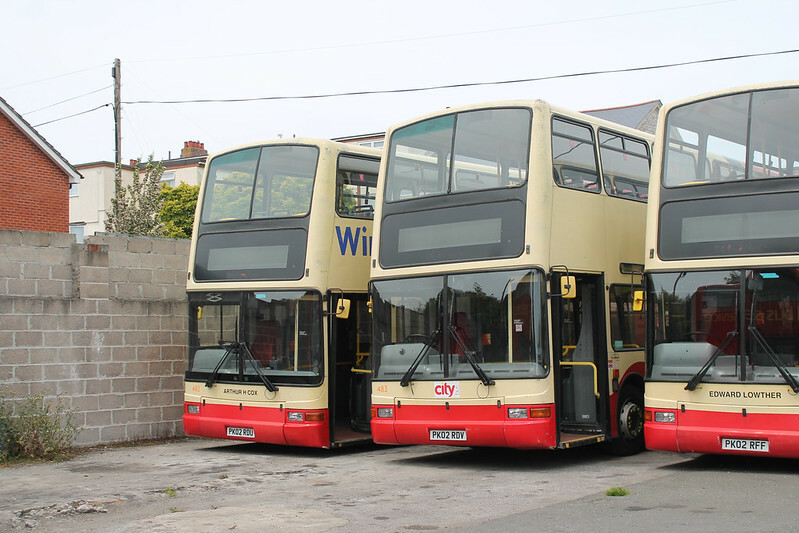 With the recent purchase of 8 Tridents from Brighton and 10 Darts from London, together with the 11 Enviro 400's due for Yellow Flash, there are likely to be a number of current buses withdrawn but it would be wrong to try and guess which ones they might be. 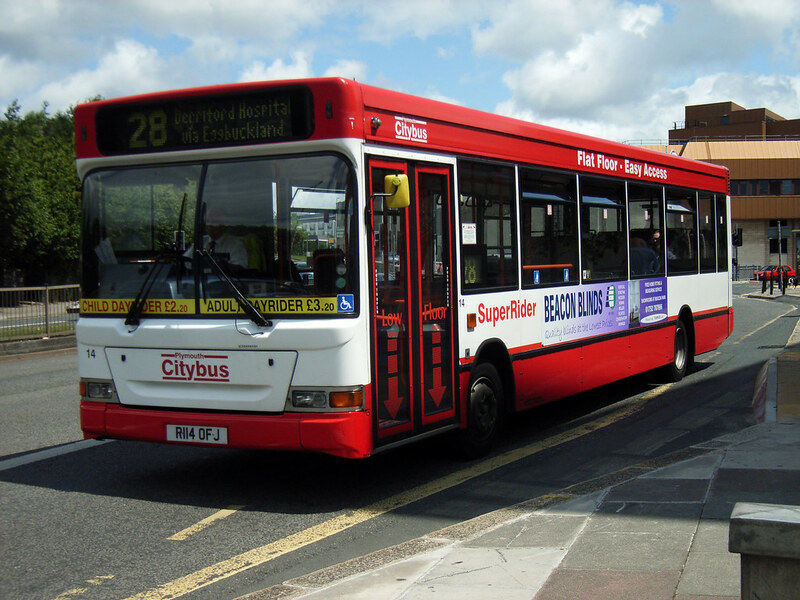 Ex Brighton Trident 487 has been painted in the swoop livery and should be outshopped soon.